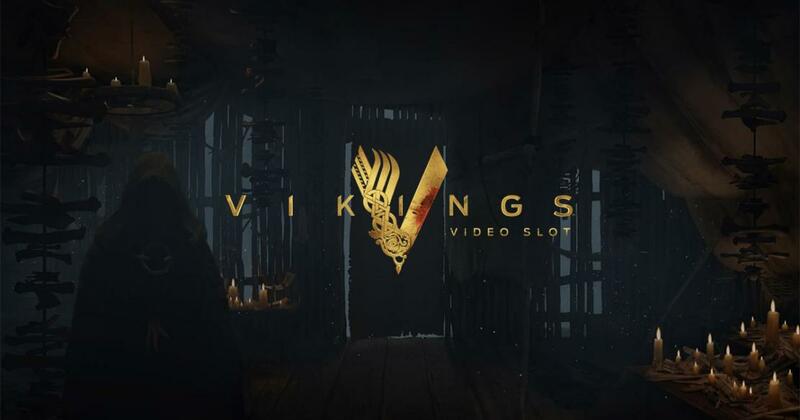 Vikings has been on TV for several years, and in 2018 NetEnt announced that they plan on releasing a slot machine based on it, following their signing for the rights to it. It’s one of the high profile branded games to be released in 2018, and it comes just in time to be played for the winter holidays, the busiest time of the year. NetEnt crafted a gorgeous slot machine which is inspired by the series, using its actors and characters for its major symbols. They didn’t just turn regular photos into symbols though. They made sure to give us icons which look good, which is something that a lot of branded games don’t seem to manage. In addition to regular or reel-sized symbols with the actors, there will also be shields, metal Royals and various other logos. As for the background image, it shows off a view of the ocean from the coast, as it starts snowing, a very frigid look. NetEnt came up with a design which incorporates 243 ways to win in 5×3 reels, though it’s capable of expanding and reaching 7 reels with 78,125 ways. The game area uses Hot Spots, Raid Spins, the Shield Wall and other exciting features, while its biggest payout appears capable of getting to 10,000x the stake, which would mean an incredible $1,000,000. You will set up your bets the same way you would do it in other slot machines from NetEnt. You get 20 lines to use for the bet, and you pick 1 to 10 coins for each one. The coin value is the other option, reaching a maximum of $0.50. This allows for line bets of $5 and total bets of up to $100, while the minimum is just $0.20. Hotspot is the name of one of the features. It requires a Viking icon to cover the 3rd reel, in order to transform all types of Vikings in view to that one icon. Even better, they pay as scatters, so they can be anywhere. Shield Wall is random and it gives you clusters of Shield symbols in random areas, ending up paying good prizes. The free spins are most exciting though, as the game area expands to 7×5 reels and 78,125 ways to win, while potential wins will go as high as 10,000x the stake per round. Vikings looks like a very cool game to try out, for anyone wishing for a high volatility title which has the usual NetEnt design quality.